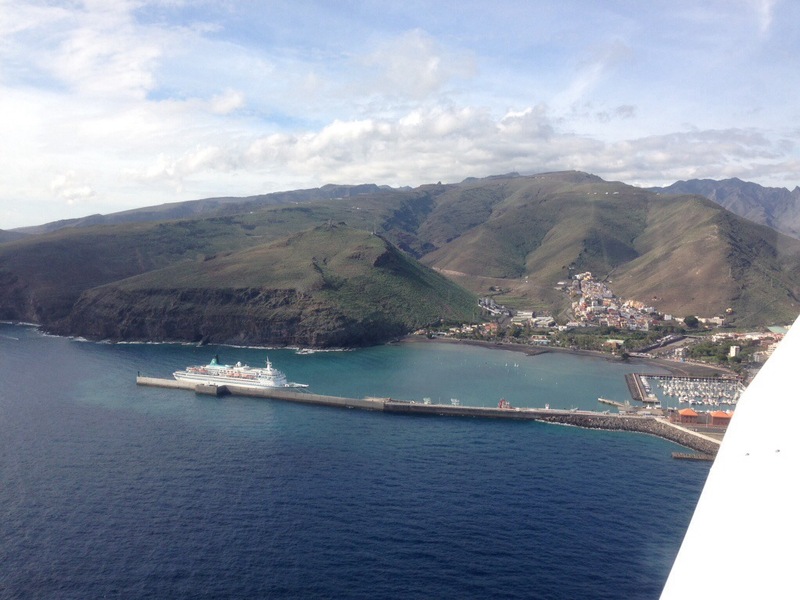 Flying in Canaries is possible the whole year, also in december. The only thing is, that due to weather conditions, sometimes you have to have patience in the weather in the case there is fog and clouds until they disappear. Luckiy it is not necessary to scratch the ice ;-). Mostly in the winter months there is more rain in the north part of the island, where the aeroclub is situated (at 2.078 feet). Therefore it is sometimes difficult to depart in the early morning hours. It is neccesay to delay the flight and to wait and hope, that the sun warms up the air so the clouds (mostly stratus and cumulus) disappear to go ahead with a VFR flight. The time on the ground has been used efectively to polish the windscreen and windows; I love to have a good visibility and the images are pretty much better! The theory worked today and after 2 hours the weather has improved and we were able to go ahead with the flight. 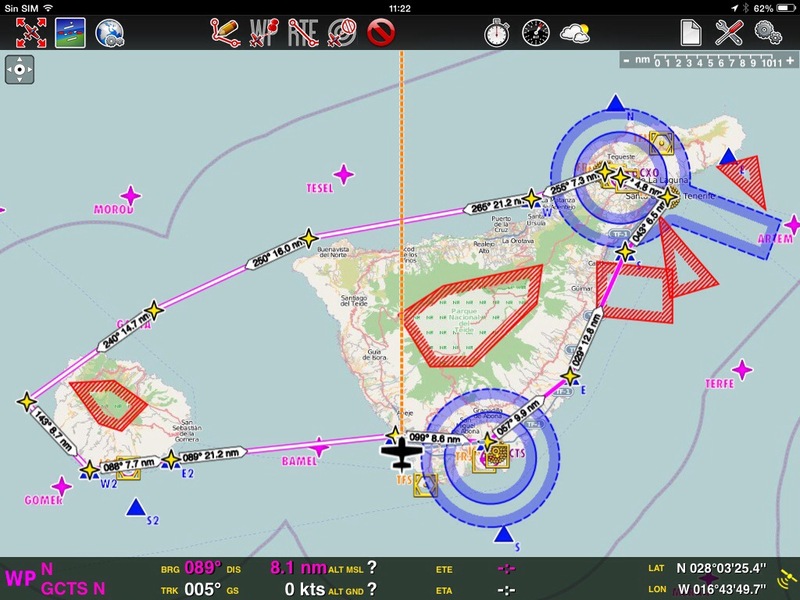 Today’s route was scheduled from Tenerife to La Gomera and back, with a complete round trip and some low passes at La Gomera airport (GCGM) and the former island’s airport “El Revolcadero”. The weather on route was fantastic and the wind was calm. We have completed the island tour and continued to the east back to Tenerife North airport (GCXO), where we have landed on the Runway 12. It is very nice to land this on the RWY 12 in the winter time, as the grass gets nice green. Following Air Europa’s 737 we have proceed to the parking. I have tried to “squeeze” the whole trip into a 3 minute “short” “fast forward video”. Hope, you´ll enjoy it as much as we have enjoyed the flight! Last saturday the weather forecast was not the best one, but we have decided to go to the North Airport (GCXO) and see if it was truth… Unfortunately yes…. This airport is situated some at 2.000 ft and the base of the clouds in the Canaries is normaly around 2.500-3.000 feet, and the best place is over the airfield… Normaly around midday the weather improves, when there is sun and a little wind, the clouds usualy disappear. We have used the time to prepare the aircraft, I have polished the windows and have installed the Gopro inside the cabin. Since I saw a coupple of nice videos made from the cockpit, I have decided to install it inside. The leg to El Hierro was flown by my friend Daldo and we had a passenger on board Oliver, who loves flying as well. The flight was very smooth, almost no wind and no turbulence, so we have descended near La Gomera to see closer the rocks called “Los Organos”. 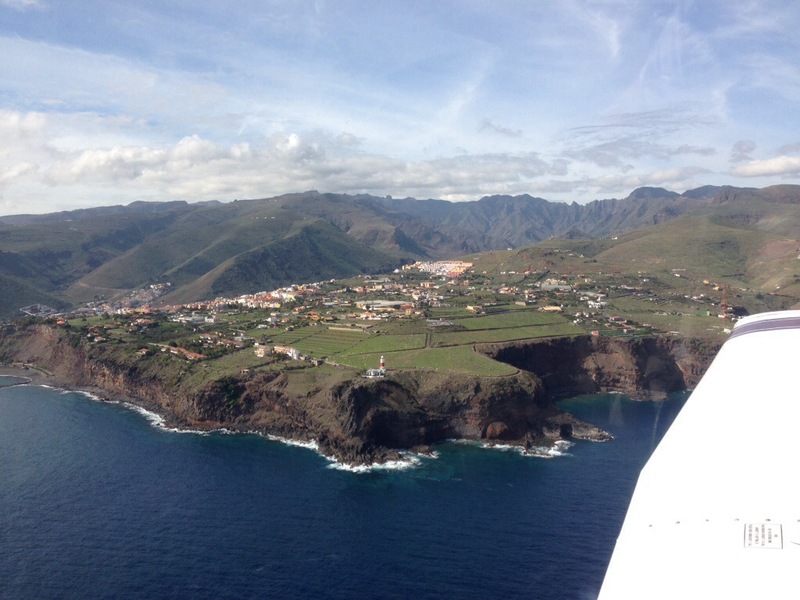 We have enjoyed a short round flight around the island El Hierro. After the landing we went to Valverde for some lunch, came back, paid taxes, made the flightplan and departed direction Tenerife. On the way back, I was at controls and Oliver was able to fly for a while as well. He did a good job! With his experience from flight simulator he was flying the plane (almost) better than me ;-). On the way back I have performed 2 low passes at La Gomera Airport, one at the former La Gomera’s Airport “El Revolcadero”, following the next low pass at Tenerife South Airport (GCTS). There were plenty of clouds on the way back, but luckily Tenerife North Airport awaited us with some nice weather so we could landed without to having divert to the alternative airport. When holding over Playa de las Américas we had very nice views over the zone. After the landing at Tenerife North Airport, a nice Learjet was parked on the general aviation platform (reg. D-CGRC). I´d love to have a jet like that, but unfortunately my garage is not big enough :-). Pista el Revolcadero was an privately owned airfield which entered service in 1959. Since 1995 La Gomera counts with a new airport, which was built only 2 km before the old field “El Revolcadero”. El Revolcadero made me and still makes me very curious about its past. Sorry for the quality of this picture, but the frame just photographed our propeller as well :-). La Gomera Airport is a pretty complicated airfield due to its location and wind conditions, and overflying the field is very bumpy. Today the weather conditions were very favorable; almost no wind: 4-5 kts), so after the take off from the La Gomera Airport (GMZ/GCGM) we have proceeded to El Revolcadero to make a low pass. On my next trip I would like to walk to the field to visit it closely. If you have heard any stories about the field, or you have some nice pics or recommendations, I’d be pleased to see them. I will leave you a short video taken from the airplane, so enjoy the flight and experience together with us.